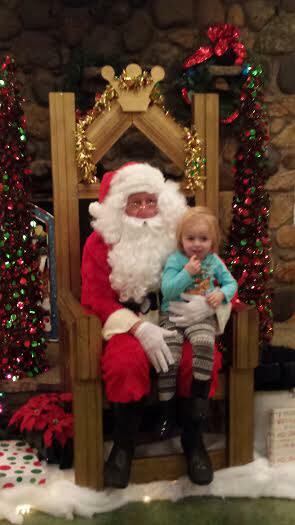 This year I want to make sure to take my daughter to see Santa Claus. After doing a little research, I&apos;ve come up with a great list of opportunities right here in Hendricks County. These events sound like so much fun, she might get to visit him a couple times! 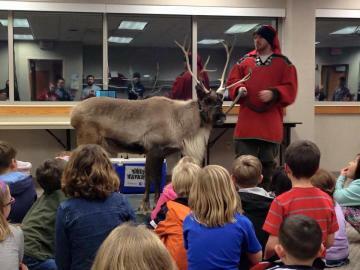 Children will get a chance to visit with Santa, participate in story time with Mrs. Claus and see a live reindeer and other live animals! There will also be free cookies and milk. This event is free and open to all families. Sorry for the short notice, but this santa sighting is tonight! 6 p.m., today (Dec. 8). Plainfield-Guilford Township Public Library, 1120 Stafford Road, Plainfield. In addition to seeing Santa at Hummel Park in Plainfield, children can also go on pony rides, horse-drawn carriage rides and train rides. There will also be a live Nativity, door prizes, grand prize drawings, cookies and cocoa, and face painting. Hummel Park, 1500 S. Center St., Plainfield. Strides to Success will host its 13th Annual Christmas with the Ponies event Dec. 9 and 10. This is the only time during the year that Strides to Success opens its doors to the public. 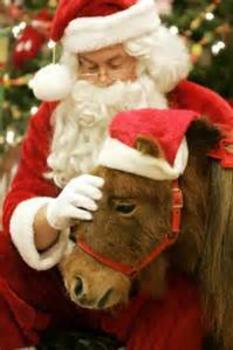 Attendees can have their pictures taken with Santa, visit Santa&apos;s workshop for crafts, enjoy cookies and punch, play games and visit with the ponies. 4-8:30 p.m., Dec. 9 and 10. Strides to Success, 1350 Terry Drive, Plainfield. Your little ones can hunt for candy canes, visit animals at the petting zoo and say hello to Santa Dec. 10 at Natural Valley Ranch. There are two sessions available, and pre-registration is encouraged. Bring a non-perishable food item to donate to a local pantry. 10-11:30 a.m. or 1-2:30 p.m., Dec.10. Natural Valley Ranch, 6310 E. County Road 350 North, Brownsburg. $5 per person age 2 and up in advance or $7 per person age 2 and up at the door. Head out to Danville&apos;s Ellis Park for a spectacular light display, plus a chance to see Santa at the train station on Friday, Saturday and Sunday nights this Christmas season. Santa&apos;s last night at the train station will be Dec. 23. 6-10 p.m., Fridays and Saturdays and 6-9 p.m. Sundays through Dec. 23. Ellis Park, 600 E. Main St., Danville. $10 per car, but check the Winterland website for a $5 off printable coupon. This event will include photo opportunities with Santa, cookie decorating, face painting, a bounce house, music, games and more. You do not have to be a member of the recreation center to enjoy this event! 11 a.m.-1 p.m., Dec. 17. Richard A. Carlucci Recreation & Aquatic Center, 651 Vestal Road, Plainfield. Santa has already visited Frazee Gardens several times this holiday season, but the local garden center has added a bonus date for one last visit. Santa will be available for pictures Dec. 17. While you&apos;re there, pick up some Christmas decorations or Christmas gifts from the gift shop. Frazee Gardens, 3480 N. State Road 267, Brownsburg. Would you like to visit Santa, but also help out a good cause? Mended Little Hearts of Indianapolis is holding a Breakfast with Santa fund-raiser Dec.17. The event will include Christmas crafts, game, breakfast, and pictures with Santa. Reservations are recommended by e-mail to mlhindy@gmail.com. Crossbridge Community Church, 10070 E. U.S. 136, Avon. $7/person or $25/household. Free for children under the age of 2. 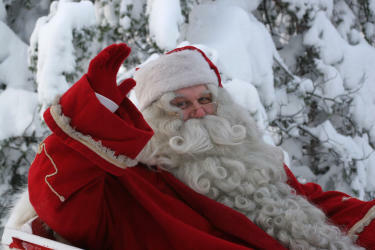 This event gives children with special needs a chance to see Santa in a calm environment. For more information, contact Trilby at (317) 745-0785, ext.3 or e-mail Ttayman@avonfd.org. 10:30 a.m.-12:30 p.m., Dec. 17. Washington Township Park, 435 Whipple Lane, Avon. $10/family for a 15-minute time slot. Santa will be available for photos at The Shops at Perry Crossing through Dec. 24. Check The Shops at Perry Crossing website for a full schedule. The Shops at Perry Crossing (next to JC Penney), 2499 Perry Crossing Way, Plainfield. Photo package prices vary based on selection.